We interviewed Mark Coudray. He is one of the screen printing industry's leading thinkers, consultants, and advocates. With nearly 50 years of experience in the apparel decoration business, Mark's career spans a period of robust growth and incessant change. It's not just screen printing that's changed. The entire world has! The new technologies, processes, garments, business models, and techniques that have emerged during Mark's career could provide fodder for a years' worth of discussion. But what hasn't changed during that period is equally remarkable. No amount of software and no screen printing press can account for a lack of strategy or a mismanaged approach to building a business. Mark Coudray's insights are easily among the most valuable you'll read: clear thinking, simple advice, and experience add up to serious authority. What's your #1 piece of advice for new and growing screen printing businesses? Too many businesses are stuck printing any job that comes their way. This habit might hamstring your business – are you actually moving toward your objective, or are you just keeping the doors open? Entrepreneurs that work in their business. "Don't employ yourself with your business. Entrepreneurs that do that tend to slow their growth." These entrepreneurs are far more typical – they enjoy some aspect of the business and work (mainly) on that component. The business may rely too heavily on them for basic functions. Entrepreneurs that work on growing their business. "Progressively remove yourself from the operations. [...] You can hire someone and replace your activity with that individual." These entrepreneurs are more rare. They're driven to remove themselves from the equation and build systems so the business operates independent of their direct input. Starting with the end in mind requires soul-searching and some decision making. But when you set a goal, you can begin moving toward it instead of floundering from job to job. How does a print shop go from manual to automatic screen printing? "Everybody starts in manual printing. I built my first press with $200 in my parents’ garage. In the beginning I was ambitious, I would walk in anywhere and pitch them on doing shirts. I wasn’t really too concerned about the people that didn’t want to buy stuff." Don't think an automatic press equals more jobs and less work. You can print the same job 10x faster, absolutely! But other areas of your shop are not made more efficient, particularly around screens and art approvals. You'll need an infrastructure in place to handle that. Start with contract work so you build your clientele. Be on-site for the printing part of your contracted jobs to learn the process. Be up front with your contract printers about your plans. Follow the "two-to-three times" rule. You should have a monthly income from contract work that is 2 to 3x the monthly payment for your automatic press. This ensures you will always be able to pay for your press – even if you lose some business. How do you find an employee that cares about your business as much as you do? Use the Myers-Briggs personality types. Mark's answer is simple: lean on social science to do the hard work for you. Best of all – a basic test like the one 16personalities offers is completely free. Have a desire to be part of something. Be open to new values and processes. While you're at it, Mark suggests taking the Myers-Briggs for yourself. "It was stunning to go on this self-discovery and learn my personality type." Whatever you do, don't hire people that are just like you. It's an easy mistake to make – just get people with your same ambitions and work ethic, right? Mark disagrees: "I was hiring for somebody like me. You don't want to hire people that match your personality type." What are the biggest mistakes print shops make? "Those terms [mistake, failure] don't help you. These are experience issues. We're learning ways that don't work, and we're finding ways that lead to extra cost." They resolve issues quickly. They're solution-seeking – not dwelling on errors or hung up on the pursuit of unrealistic perfection. They seek permanent solutions. They don't try to resolve the issue this time – they develop a permanent solution. "Everyone understands it's a process and can duplicate it." Your shop doesn't have to be tidy to be organized. Organization takes many forms, but the common denominator remains the same: there are distinct processes in place that every employee abides by. Checkpoints. There are multiple places where quality and correctness is assured. No one person is responsible for the success of the job. Milestones. There are tangible milestones for each job as it progresses through the printing process. Sign-off sheets. Things are tracked, documented, and able to be referenced at a later date. This boosts accountability and ensures workers are responsible. Standards. The shop's standards and expectations are well documented, and every employee is aware of them. When everyone in the shop understands that they're involved in a production process and have a distinct role to play in the success of that process, there's a high likelihood that the shop is successful and producing quality prints. What is your pricing advice for print shops? It's practically a meme: pricing your screen printing is difficult. Too high and you lose customers. Too low and you can't pay your bills. Luckily, Mark Coudray has the goods: you've got to know your utilization if you want to make sense of how your costs compare to your prices. "When we measure shop efficiencies, and we've done this hundreds of times, the shop's efficiency is typically between 24% to 33%. [...] Lunches, breaks, approvals, packing, setting the press up. That triples or quadruples the cost per hour!" Instead, price jobs based on value. Value-based pricing eliminates your competition: "You are defining what value is. [...] When you talk on the customer's terms, and deliver on what's valuable to them [...] you are able to charge more for what you do." If you're struggling with pricing, we suggest taking a moment to contact Mark Coudray and see how he could help your business make sense of utilization, pricing, and adding value for your customers. What advice do you have for acquiring new customers? Mark's advice isn't to go out and get as many customers as quickly as you can. In fact, it's quite the opposite: be careful. "Be very careful about your customers. Target them. Know your niche. Pick 3 to 4 niches to be an expert in. Know everything that there is to know about that." We've long advocated for being an expert consultant to your customers – it's easy to get analysis paralysis when faced with the overwhelming choices customers have. How are the garments being distributed, sold, and displayed by your customers? If you understand the event, business, or use (the story behind the shirts) you can cater to the customer's specific needs and anticipate what they'll actually want. How does the niche constrain your choices? If you work in a safety niche, perhaps the garments need to be fire retardant. If you're printing for a utility company, maybe the garments need to be reflective and meet specific industry requirements. You can make better decisions when you understand exactly what your niche requires. What's the biggest production bottleneck you see? "Lack of organization and information flow. 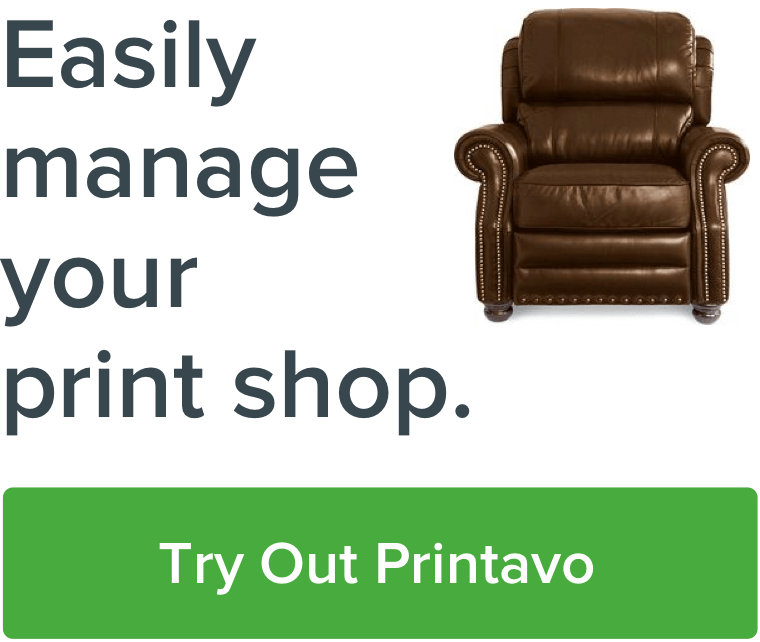 It's getting better with programs like Printavo, because they're helping manage the information. But there are still holes. The approval process is one of the biggest challenges in the entire process." Approvals are tough. They require back-and-forth and can get stuck in a no-mans-land – totally killing your momentum and costing your shop a lot of money. Mark wants you to think about the return on the time you're spending in your shop. Too many people worry about return on investment in a strict dollars sense – but time is far more valuable. If information seamlessly passes from one department to the next, productivity is increased. Wasted time is lessened. Instead of spending time on low-value tasks, you can find high-value tasks that push your entire operation forward. Is what you're doing in your shop a wise return for the time you're spending on it? We're so thankful that Mark Coudray took the time to chat with us. Mark has helped hundreds of businesses reach their full potential. His focus on goals, vision, and concrete methods to achieve long-term success is an asset to the entire custom apparel industry. Mark's voice is tremendously valuable: he tackles controversial, hard-hitting topics that screen printers really struggle with. And if you need more from Mark Coudray, check out our last interview with Mark. He goes in-depth into pricing techniques and shows what happens when quantity breaks become a crutch instead of a tool.